The mild shaving foam provides a gentle shave even for a sensitive skin and enables the blade to glide optimally over the skin. Panthenol, natural vitamin E and rosemary oil protect the skin from irritation. 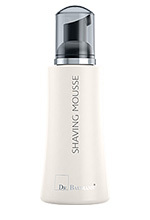 Already during shaving this product cares and soothes the skin.